A recent Tekken 7 exhibition ended in carnage as the match’s loser trashed multiple peripherals in a hilariously childish display of anger. Body Count Fighting is a Southern California-based operation that brings together some of the best fighting game players in the competitive community for slick show matches at the Machinima studios. 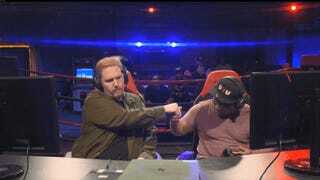 Last week, competitors Timothy “Tekken Tim” Akins and Averiey “Runitblack” Cobb-Entin were invited to participate in one of the April 7 event’s two Tekken matches, and their confrontation started before they even entered the mock wrestling ring. Despite consistent showings at local weekly Wednesday Night Fights, however, Runitblack had a difficult time staving off Tekken Tim’s fundamentals. 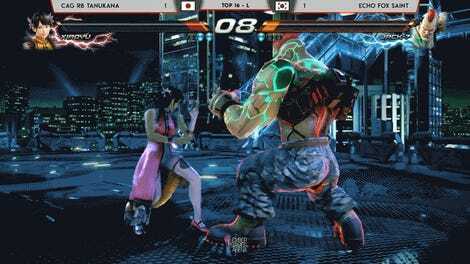 After going up one round in the first game with hard-hitting series mainstay Jin Kazama, Runitblack watched his slim lead slip away as Tekken Tim connected blow after blow as resident Tekken pugilist Steve Fox. 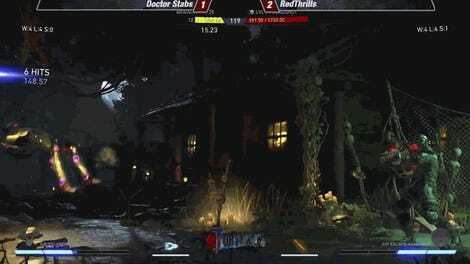 Over the course of their exhibition, Tekken Tim dominated with long combos off errant strikes and punishes. Runitblack’s control of the battlefield was poor, allowing his opponent to weave across the stage fearlessly and maintain pressure. In the second game, Tekken Tim found himself down two rounds to none, but quickly reversed fortune with a clean 3-0 comeback. Pushed to the wall in the final game, Runitblack failed to run it back, and Tekken Tim closed out the exhibition with a perfect overall record.